Bitcoin is not likely to become primarily used as a currency. Gresham's Law states that consumers will not spend deflationary currencies when they can spend inflationary ones. No currency has ever been as deflationary as Bitcoin. It will likely become a brand new asset class, playing several primary roles in the global financial system. Eventually, it is likely to supplant gold as the world's primary store of value asset. One of the more controversial topics in the Bitcoin community right now is the debate over what, fundamentally, Bitcoin is. Is it primarily a currency? A store of value? A hybrid of both, or something else entirely? The fact of the matter (and part of the fun) is that no one knows. Anyone who says they know exactly what Bitcoin will become is either a liar or a fool. That said, we can make some educated guesses based on an understanding of behavioral economics and a sound grasp of the dynamics that power the global financial system. Before we talk about what Bitcoin is likely to become, let's talk about what it almost certainly won't, and that's as a currency/medium of exchange. This is, to put it mildly, a controversial view in the online Bitcoin community, which still largely clings to "Satoshi's Vision"1 with an almost religious fervor. According to this line of thought, if Satoshi's White Paper says something, then it's considered established fact. If it doesn't, it isn't. And since the White Paper says that Bitcoin is meant to become a currency, then it should be a self-evident truth that its future is as a currency, and we should leave it at that. As you may have realized by now, I'm not a disciple of Satoshi. I don't think he's infallible, and I won't mindlessly accept his decade old opinions as dogma. "All things being equal, bad money will always drive out good." What this means is, assuming two commodities can both be used as money and have the same face value, the money perceived more valuable will soon disappear from circulation, as people spend the "bad" money and hold onto the "good" money. This originally referred to coins with actual precious metal content vs. coins that did not (coins with actual gold/silver content tended to be hoarded for their intrinsic value, while less intrinsically valuable coins were spent for their face value), but the dynamic is still the same. Applied to cryptos, the "good" is the one that is expected to rise in value (Bitcoin) while the "bad" money is the one that is known will decrease in value (fiat). So, according to Gresham's Law, we would expect consumers to spend their fiat, and save their Bitcoin. Which is - unsurprisingly - exactly what we see when we look at the entirety of the Bitcoin experiment. 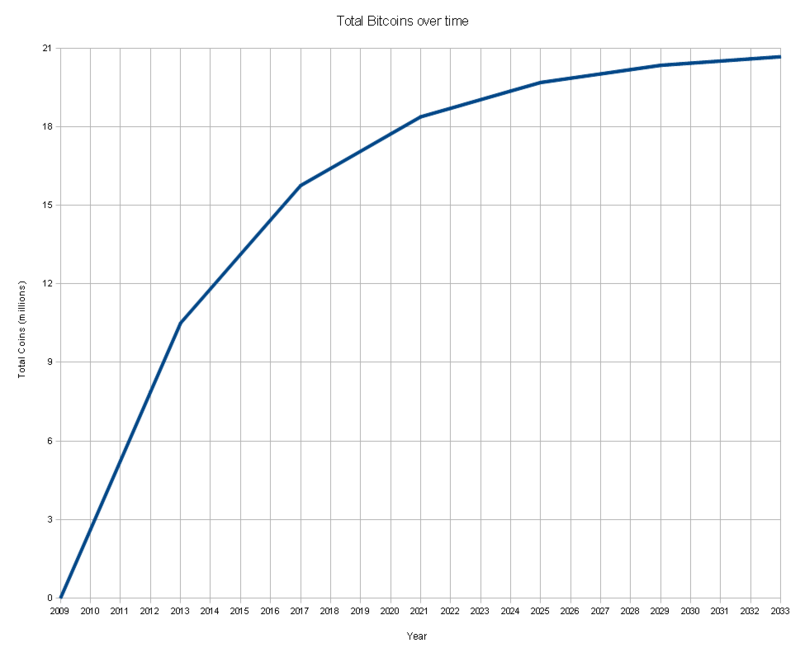 Surely, if Bitcoin was going to become a currency, we'd at least see the beginning of that dynamic starting to form. We don't. To this day, ten years in, even though Bitcoin has gone from being worth nothing to a market cap reaching $200 billion, the usage of any cryptocurrency as a medium of exchange is almost nonexistent. This is yet more evidence that Satoshi was wrong. Even if one allowed that the "Bitcoin as currency" idea was reasonable in 2009, the decade of real world usage since then becomes the much more relevant data point, and if Satoshi tells us one thing, but empirical evidence tells us another, we would be wise to believe in the evidence. Otherwise, Bitcoin becomes a faith based ideology, and that's something a rational mind cannot accept. For those that may be disappointed by this, I offer this consolation: Be glad that Bitcoin will never become the world's primary currency. It would be a disaster of epic proportions. America, like all industrial nations, is primarily a consumer driven economy. Consumer driven economies need a small annual inflation rate to encourage spending. This is why the Fed targets an inflation rate of 2% annually, which is generally regarded as the "sweet spot": high enough to encourage spending, but low enough to keep the negative effects of inflation (mostly a decoupling of the inflation rate relative to wage growth) at a minimum. Spending is what drives the economy, and anything that discourages spending tends to act as a drag on it. To that end, one of the primary factors that discourages spending is - wait for it - deflationary currencies! If we ever found ourselves in an economy where the only currency available to use was one that was deflationary (and there's never been a currency even remotely as deflationary as Bitcoin), it would be catastrophic. Consumer spending would plummet to levels not seen before and the economy would enter a recession that would make the Great Depression look like the party. Not an ideal situation. And also, thankfully, almost certainly not going to happen. With all those words discussing what Bitcoin probably won't become, let's spend a few discussing what it probably will. One surefire way to get into an argument with an old school Bitcoiner is to tell them that Bitcoin's value lies not as a currency but as a store of value. I've yet to hear a persuasive argument against this, but it can cause great agitation. Usually, the argument you'll hear goes something like this: "nothing can be a store of value unless it first has a use case". This is both devoid of any basis in fact, and also demonstrably wrong. A store of value is in itself a use case. For a real world example, we need to look no further than the #1 store of value in the financial system, gold. "NO!!" this person will tell you. "Gold is used as a store of value because of its traditional role as a currency!". Again, incorrect. Whatever value the market gives to gold in 2017, it is entirely due to whatever use it has in 2017. The market is not going to pay gold (or any asset) because of what it used to do. It will only ever give market share to an asset for what it can do today - or possibly tomorrow - but never yesterday. And since gold is not used as a currency today in any remotely significant way, it is reasonable to surmise that roughly 0% of gold's market value today is due to its historical role as a currency. Perhaps the confusion is simply semantics. "Store of value" is admittedly vague and loosely defined. Lots of things, with varying levels of effectiveness, can be considered "stores of value" from art, to stamps, to cash, to real estate. For the next few minutes, forget the term. Instead, think of the term "insurance policy." Nobody doubts that an insurance policy is a real and tangible product that has intrinsic value. Consumers buy insurance to protect themselves from a variety of unpleasant surprises, such as car accidents or untimely death. When people talk about gold as a "store of value" what they're really talking about is gold as an insurance policy for investor portfolios against a myriad of risks. Inflation, for sure, is one thing investors want to be protected from. But also from market crashes, wars, terrorist attacks, or any other black swan type event. Gold tends to outperform other asset classes during such events, and this fact is why it's generally considered best practice to have a certain allotment of gold exposure for every portfolio (usually in the 10% range), and why the market currently pays gold several trillion dollars to play this role. So the next time someone tells you that "Bitcoin must have a use case to be a store of value!" remind them that "store of value" is simply another term for "insurance policy" which of course is a use case in and of itself as evidenced by the multi-trillion global insurance industry which does nothing but sell these products. Below, I'll make the argument that Bitcoin is a superior store of value to gold in every way that matters and - as tends to happen when a superior product comes to market - we should expect Bitcoin to steal market share from gold in the coming years. In doing so, I'll lay out a case for Bitcoin to become a major pillar of the global financial system, with a market cap in the trillions (which would imply a Bitcoin price probably well into the six figures). All this, without the need to ever be used in any significant way as a medium of exchange. I'll briefly discuss each one and compare the properties of each asset in relation to it. Probably the most important property of a store of value is that the supply cannot be easily or artificially increased, as any material cannot be easily produced (i.e. rare) and it's not easy to counterfeit. For our Iron Age ancestors, gold fit the bill. It occurs so rarely in the natural world that total supply could not grow faster than the wealth it was meant to store, which meant it held onto that value quite well. At the risk of stating the obvious, the more difficult it is to increase supply of a store of value asset, the better especially in the modern world of inflationary fiat currencies. As these inflationary currencies inevitably lose value over time, an asset that has a static or much slower increase in supply will tend to keep its value (or appreciate) over time relative to the fiat currencies they're priced in. This is one of the primary purposes of a modern store of value: to retain or appreciate its value relative to inflationary fiat currencies. A commodity that is insufficiently rare would not be able to achieve this objective. Note "rarity" in this context doesn't mean how rare something is in society. It simply means the ease with which it can be produced. As good as gold performs in this regard, it can't beat Bitcoin. Bitcoin's algorithm places a hard cap on the number of coins that will ever be produced, only 21 million Bitcoins will ever be mined. That's it. Once those are produced, the supply will remain static forever. Of the 21 million coins, approximately 17 million have already been mined. That means 80% of the entire possible supply already exists, and the rest will be mined at such a steady and predictable rate that we can accurately estimate when the final coin will be produced (which should occur on or around 2140 AD, give or take a year (although as we can see in Fig 1, the majority will be mined within a few decades). In the context of ever inflating fiat currencies, this hard cap on supply suggests an asset that is superior to gold in the role of inflation hedge. Obviously, a substance that can be easily copied is useless as a store of value. Gold was an early winner in this contest. It had physical properties that even an Iron Age merchant could be reasonably sure of its legitimacy: extreme malleability, unusual heft, and a distinct soft warm glow combined to make gold a uniquely suitable metal, very difficult to counterfeit. To this day there are very few naturally occurring substances that are superior to gold in these areas. Of course, Bitcoin is not a naturally occurring substance. Bitcoin isn't difficult to fake or counterfeit; it's impossible. It's beyond the scope of this article to discuss the specific mathematical algorithms that secure the blockchain (here's a short video if you want a summary and there's plenty of information available online if you want to really dig into the weeds). If you're mathematically inclined, here's a mathematician's explanation of what it would take to "hack" Bitcoin. Long story short, it would take the fastest supercomputers around 6 times longer than the age of the universe (about 78 billion years) and would require more power than humans currently produce. Needless to say, it's not gonna happen. It goes without saying that any asset used as a vehicle to store value or act as an inflation hedge needs to have a mechanism so that investors can accurately track its global supply. Without that information, price discovery would be impossible. The more accurately investors can handicap global supply, the more effective that asset will be as a store of value. Any fuzziness on the supply side of the equation will lead to a proportionate inefficiency on the price side. Thus, the more precisely the market can know the supply, the more efficiently it can price the asset, and if there's one thing markets love, it's efficiency. As far as traditional investment assets go, gold has been the (pardon the pun) gold standard in this regard. Its long history of being valued by almost everyone means that, for the most part, most gold ever mined still sits in circulation, which allows investors to have a reasonably accurate estimate of total global supply. Of course, we cannot be 100% precise. Surely, there is some gold that has been hoarded and forgotten, lost at sea, sitting in grandma's attic, etc. Not to mention we know very little about how much gold was mined in prehistoric times, even though gold artifacts over 6,000 years old are known to exist. None of it are huge amounts, but tally it all together and it certainly would be enough to give a fairly broad margin of error in global gold stock estimates, with estimates between 5% and 20%. All in all, the fact that our gold supply estimates are probably the most accurate of all assets doesn't mean that it's satisfactory. Even a 5% margin for error can mean hundreds of billions of dollars are misallocated in gold, and creates distortions in the global market. Contrast that with Bitcoin. Because of its digital nature, we can accurately assess the total global supply down to the nearest decimal point, in real time. This sort of accuracy is unheard of, and in this regard, Bitcoin simply has no peer in the current global financial system. This sort of hyper accuracy makes price discovery much easier, and much, much more efficient, a crucial property for any asset vying to dethrone gold as the primary store of value asset. One of the properties of gold that made it an early favorite as money thousands of years ago was its divisibility. Gold truly is amazingly malleable. A single gram of the stuff can be beaten into a uniform 1 sq ft sheet. It can be beaten so thin that it becomes transparent while still holding its integrity. This sort of malleability made it very easily divisible for our ancestors. Divisibility allowed merchants and consumers the ability to customize their economic behavior to match the resources they have available. Tiny amounts of gold could be separated from larger chunks for smaller purchases, and many small chunks could easily be smelted into one large piece. In the modern world, divisibility is less important, but it's still a relevant factor. As you may have guessed, Bitcoin's divisibility is basically infinite. Not literally, of course, but the smallest available unit is the Satoshi, a unit that can be measured to 8 decimal points (0.00000001 BTC). At a Bitcoin price of $15,000/USD, one Satoshi would cost investors $0.00015. Needless to say, this is for all practical purposes, infinite divisibility, and allows investors the ability to purchase exactly as much or as little as they need to protect the rest of their investment portfolio. This is self-explanatory. If value is in the eye of the beholder, the best stores of value will also be the ones with the most broad-based recognition and acceptance. It goes without saying that gold has passed this test with flying colors throughout all of recorded human history. This is the one property that gold retains a decisive edge over Bitcoin. It's also the only one that is not a fundamental property of the asset itself (i.e. Bitcoin could someday overtake gold in acceptance, but gold will never be more divisible then Bitcoin, or be able to be inventoried more accurately). There is much game theory involved in store of value assets. They rely on the "common knowledge" dynamic for their value. For example, gold has value because it's "common knowledge" that other people value it as well. The more confident I am that I can reuse that gold to purchase my own goods and services later, the more likely I am to accept gold as payment for the goods or services I'm providing. To that end, the only thing required here is longevity. Bitcoin is in that weird middle ground between "definitely not going to be a permanent thing" and "definitely a permanent thing". The longer Bitcoin sticks around and retains value on the global Bitcoin exchange (especially if that value keeps going up), the more investors will gain confidence that it is indeed sticking around, and eventually, as the market matures, it will become "common knowledge" that Bitcoin has value, and investors will be much more open to using Bitcoin as a store of value asset. And there you have it. Of all the inherent properties of the two assets, Bitcoin is superior to gold in almost every way that matters. As well, beyond the purely physical properties, there are other dynamics at play that would cause the global financial community to prefer Bitcoin over gold as the go-to store of value asset. Storage and transportability, for example. Gold is heavy. It's costly to transport and protect. And of course, it exists in the physical world, which puts it at a distinct disadvantage to a digital asset that can be transported anywhere in the world instantly for a fraction of a fraction of the cost of transporting gold. It can be safeguarded for far less (security will consist of best practice protocols and redundant digital security rather than the expensive and cumbersome brute force of armed guards and steel vaults). The costs of guarding and transporting gold are passed on to investors, and the significantly reduced overhead costs of dealing with Bitcoin means that savings would get passed on to investors and less of their capital would get eroded in fees and overhead. Another dynamic that could propel Bitcoin to become a major asset class is as a safe haven. Safe-haven assets are places where investors can put their capital during times of global tensions or some form of geopolitical worries. Gold is a safe-haven asset. So are some currencies, such as the USD and JPY. The thinking goes, these currencies belong to the world's largest, most stable economies. They should be able to weather the storm better than perhaps some other risky assets. A flaw in all these assets is they are not separate from the global financial system, they're a part of it. Putting your capital into the yen or USD to protect it during geopolitical tensions isn't going to do much good if the tensions are that, hypothetically, North Korea detonates a nuke over Tokyo, or a trade war erupts between America and China. Bitcoin has the benefit of being outside the system. It has no physical location, and it can't be destroyed. As Bitcoins use as a store of value increases (and with it, investor confidence), it seems likely that many investors will also come to see it as a superior safe-haven asset for these and other reasons, and this should allow Bitcoin to grab even more market share from other global assets in this class. *where P represents how much market share Bitcoin will take from gold, in percentage and expressed as a decimal. The 2.56 is in trillions, and the 0.000021 represents the 21 million coin supply. Even in the most optimistic scenarios, Bitcoin is not going to completely usurp gold's market share, and this is where your own judgment comes in. You need to decide how much market share you think Bitcoin is most likely to steal from gold and apply that to the equation. So, for example, if you believe Bitcoin will take 65% of gold's market share over the next few decades, simply plug in 0.65 for P and you'll get your answer. Note that this is simply a valuation tool for only the scenario mentioned above, that Bitcoin eventually supplants gold as the primary (or at least a major) store of value asset class for the global financial system. This does not take into account any value for any other role or use Bitcoin may establish as it moves along towards maturity, which is almost a given should the above theory come to pass. As inevitably happens with transformative technologies, there will almost certainly be use cases for Bitcoin that nobody is even thinking about right now, so the above tool leaves significant upside to the valuation and should be looked at as conservative (assuming, of course, the scenario we envisioned above comes to pass). Obviously, don't make any major investment decisions based solely on this. This is just a rudimentary tool that may be helpful in addition to your own analysis. It is not on its own meant to be predictive, more of a rough guide. All in all, when we consider the properties of gold and analyze why it's currently used as the go-to store of value for the global financial system, and then consider that in almost every important factor Bitcoin is superior, it's reasonable to assume that, as tends to happen, the superior product will gradually steal market share from the inferior one. This theory needs to be taken with a Dead Sea's worth of salt, however. It would be wrong to say it's likely, if only because cryptocurrencies are so new, and so disruptive, and so unlike anything in the financial system today that anybody who says with full confidence that they know what Bitcoin will become is either a fool or a liar. There are so many variables and such a convoluted dynamic at play that any theory espoused today (including mine) cannot be said to be "likely". As Bitcoin slowly matures over the next few years, its future will become more and more clear. Today, however, we're all just groping around in the dark trying to apply existing facts and theories to an unprecedented asset class. That said, I believe that of all the theories out there today, the one outlined above is probably the most likely outcome. I should also point out that Bitcoin is not, at present, considered a store of value. It has far too much volatility, a condition that will likely persist for a few years as the market matures. The market is still in the adoption/legitimization phase, which is characterized by intense volatility and large % gains/losses. Slowly, as the market matures over the next 10 years, the volatility will settle down, the price will become more stable, and investors will begin to think of Bitcoin as a much better candidate for a store of value. Satoshi Nakamoto, the legendary inventor of Bitcoin, is regarded by many almost as a messianic figure in the online community. The name is a pseudonym, and to this day, no one knows who he/she is, or even if they're still alive. His infamous White Paper published in 2009 served as an introductory document to introduce and explain Bitcoin to the world. There are other factors that would discourage spending cryptos vs. fiat beyond the deflation vs. inflation dynamic. The fees incurred to GET the Bitcoin in the first place, which can range from 1% to 5% spending on the fees your exchange charges. Then there's the fees from the actual transfer to the merchant, which aren't large, but are non-zero numbers. You know what never has fees when making purchases? Fiat. So the "Bitcoin as currency" idea assumes that millions of consumers will not only choose to spend their deflationary Bitcoin over their inflationary fiat currency, but they'll also pay a fee between 1% and 5% on each transaction for the privilege of doing so. Not going to happen. The word "law" in Gresham's Law is simply colloquial. Economic laws are not laws in the same way that a law is in, say, physics. The law of gravity is never broken, not once. Of course Gresham's "law" has and will be broken all the time. There will always be somebody buying goods or services with Bitcoin for one reason or another. Lots of illegal purchases, such as drugs or guns, are done in Bitcoin for obvious reasons. Many people have ideological reasons. "Spending Bitcoin is how Satoshi meant for it to be used," they think, "and so I'll spend it, even if it's not a strictly rational economic decision." Kind of a "be the change you wish to see" type thing. But for the 99% of consumers who could not care less about the ideology of their money and will simply make the economically rational choice about their finances, they won't use it as a currency. Certainly not in nearly enough numbers to achieve the critical mass of buying and selling in Bitcoin that Satoshi had envisioned.